The Donu Peninjau (wish pool) located at the foot of Bukit Peninjau. KUCHING: An allocation of RM1.6 million has been approved to restore Bung Muan, Bukit Peninjau, as well as Siniawan Bazaar in Bau. Serembu assemblyman Miro Simuh said the development at Bung Muan would include the construction of a Tourist Information Centre, the restoration of Wallace Trail and Sir James Brooke Cottage, and a look-out (viewing) point. He said all the projects at Bung Muan and Siniawan Bazaar would begin next year. “These two places have interesting historical and cultural value which, if properly developed and promoted, have great potential of becoming popular tourist attractions in Kuching and Bau in particular. It is my hope that these projects will bring prosperity to the local economy and develop a new form of income for the local people,” he said. Bung Muan is one of the four ‘bung’, or mount/hill top, belonging to the Bidayuh community that is being considered for gazettement as communal reserve. 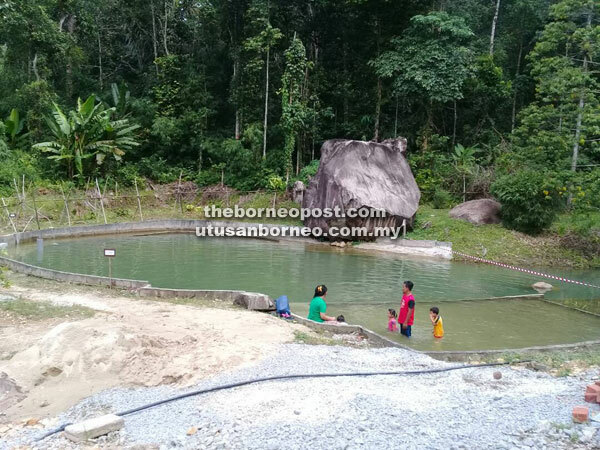 The Bidayuh community leader for Kuching Division, Temenggong Austin Dimin had recently revealed that aside from Bung Muan, the other ‘bung’ being considered are Bung Jagoi – located between Kampung Serasot and Kampung Duyoh, Bung Singai near Kampung Tanjong, and Bung Barau in Kampung Bunuk. Miro, meanwhile, welcomed the willingness of the state government and the Land and Survey Department in considering the gazettement of the four ‘bung’. He said Bung Muan at Mount Serembu, also known as Mount Peninjau, is very important to the local people as it was home to the earliest settlement of the Serumbu Bidayuhs some 300 years ago. It is said that Sir James Brooke, while on a working visit to Siniawan and Bau, was captivated by the Bidayuh longhouses at the mountain top facing Siniawan. Between 1848 and 1850, with the help of the villagers there, he built a cottage at Bung Muan located just above the settlement to escape the heat of Kuching. One of Brooke’s friends, Alfred Russel Wallace, whom he met in Singapore, was invited to visit the state and Wallace ended up spending 14 months here, longer than at any other place he visited in the Malay Archipelago. Wallace, a renowned naturalist, was offered the use of Brooke’s bungalow at Bung Muan. He made many important findings related to the forest in Bukit Peninjau. Some new facilities have already been made available at the foot of Bukit Peninjau. Among them are the visitors’ information centre and the Donu Peninjau or Peninjau Pool (wish pool), which is already operational.